Steamer (mfj. unknown) 9 AMP; Holds 60. 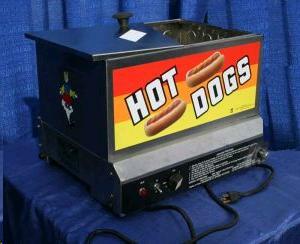 * Please call us with any questions about our hot dog steamer rentals in Sacramento and Citrus Heights, serving Auburn, Placerville, Woodland, Davis, and Elk Grove in the Sacramento area.